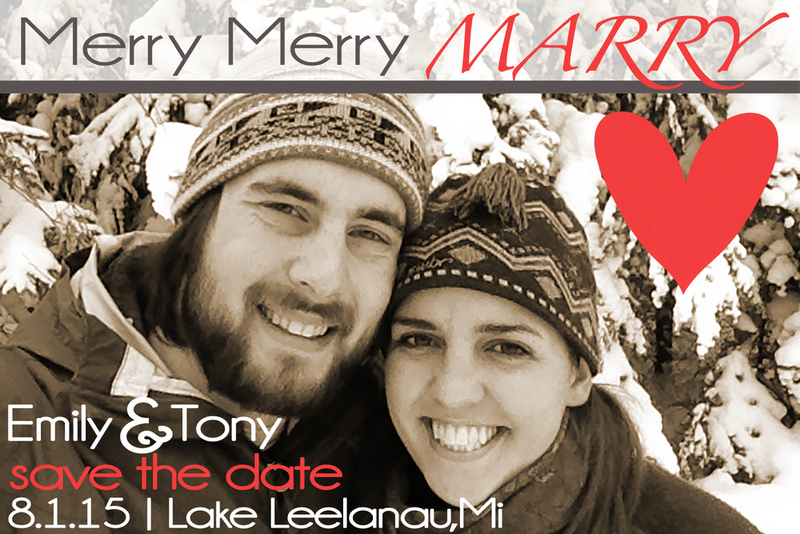 Emily Bouckaert and Tony Matthys will be tying the knot August 1st, 2015 in beautiful Leelanau County! We were very pleased to help Emily create her wedding registry here at At Home this spring. When talking with Emily about how her relationship with Tony began and blossomed into what it is today, she shared that she and Tony met in graduate school at Michigan Tech in the beautiful Keweenaw Peninsula. Emily spent a semester staring at the back of Tony's head in statistics class before they finally started dating on April Fools Day of 2011. -If you can't tell, Emily is a funny girl. The couple shares a love of Lake Superior, cooking, gardening, each other, and their wild girl dog Britta. They are very excited to start married life together, and we are very excited to help them get started on the right foot. Please take a look at their registry here and be sure to call us with any questions. 231.271.4664. We are thrilled for the opportunity to help you pick the perfect wedding gift for the lovely couple.